Aspinalls - Second Job At Whitworth Art Gallery - UK Engineering Experts | Engineering Business UK | Qualified Engineers Lancashire | Mechanical Engineered Products | Mechanical Engineer Services. 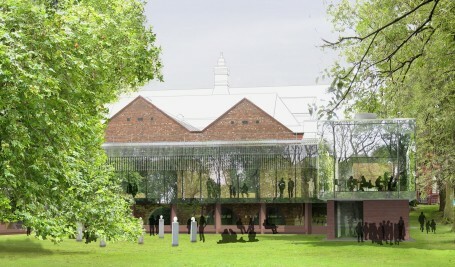 The extension at WAG will create a new North Wing which will embrace the park and house a Landscape Gallery where Whitworth’s internationally important artworks will be displayed. Alongside this will be new study centre where visitors of all ages will be able to explore and learn about the gallery’s wonderful collections. A promenade gallery will lead to the South Wing, comprising a new café and a Learning Studio opening into the art garden.